A new drug to treat ADHD - attention deficit hyperactivity disorder - has been licensed for use in the UK. The launch will reignite the debate about whether it is right to use drugs to control the condition, thought to affect around 5% of children. 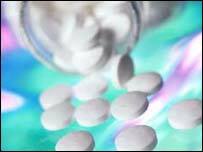 The drug, atomoxetine, has been welcomed as an alternative treatment if existing drugs do not help. But some experts say diet should be used to manage children's symptoms instead. Unlike currently available drugs, atomoxetine, which will be available on prescription from July, is not a stimulant, and therefore is unlikely to carry a potential for abuse. Children with ADHD have extreme difficulty sitting still, learning or concentrating. Looking after affected children can be exhausting for parents. Guidelines from the NHS watchdog the National Institute of Clinical Excellence say only the most severely affected should be given drug therapy. Until now, only the methylphenidate class of drugs - which includes Ritalin - have been available to treat ADHD. Some doctors have expressed concern it could lead to depression or be abused by drug-users because of its amphetamine content. It has also been seen as a "chemical cosh" by some parents, teachers and doctors, who say it suppresses, rather than modifies, behaviour. But experts say drugs like Ritalin are likely to remain the first choice drug therapy for ADHD, with atomoxetine as an alternative option if they do not help. There is also agreement that diets can be effective in relieving ADHD symptoms. However, they are often time consuming and expensive for families. Atomoxetine, which is also known as Strattera, is a non-stimulant and the first new type of medication to be licensed in the UK for 30 years. One dose lasts for 24 hours. Drugs such as Ritalin cause insomnia, so are not taken in the evening, meaning symptoms are not controlled at night or in the early morning. Dr David Coghill, senior lecturer in Child and Adolescent Psychiatry, University of Dundee, said, "Continuous relief from the symptoms of ADHD is something we've not seen before. "It may allow children and their families the opportunity to live a more normal life with respite from the disruption of ADHD." Professor Peter Hill, a child and adolescent psychiatry who has specialised in ADHD care: "The availability of this drug is a good thing. It is an advance. "However, drugs such as Ritalin (methylphenidates) will remain the drug of choice. "We have been using them for 50 years, and we know how they work. "It the methylphenidate does not work, doctors would probably try another stimulant before moving to atomoxetine. "But I think atomoxetine will remain a second or third choice drug for the foreseeable future." Andrea Bilbow, chief executive of the National Attention Deficit Disorder Information and Support Service (ALDDISS), said Strattera offered a treatment option for children who did not benefit from drugs such as Ritalin. "It remains to be seen how many children this will help, but its another option for children and parents to look at. "But it's potentially able to give children a normal life." However Angela Beecroft, a clinical nutritionist at the Cactus Clinic which aims to treat ADHD and related conditions without drug therapies, said: "There is a place for drugs, but only in the short-term, to get the child into a calm state of mind." She said raising levels of minerals such as zinc and magnesium could in themselves relieve ADHD symptoms. "Most of these are missing in the diets of children we see." "Many experts believe this condition is often still under diagnosed and untreated"